We at Knights & Lords understand the importance of having a well-crafted pair of shoes to complement your Bespoke Suit. While the natural beauty of a handcrafted pair of shoes adds a surreal and sublime element to your entire Bespoke outfit, we understand that placing comfort at the top of everything else if paramount. For this reason, the focus of handcrafted at Knights & Lords is on comfort. 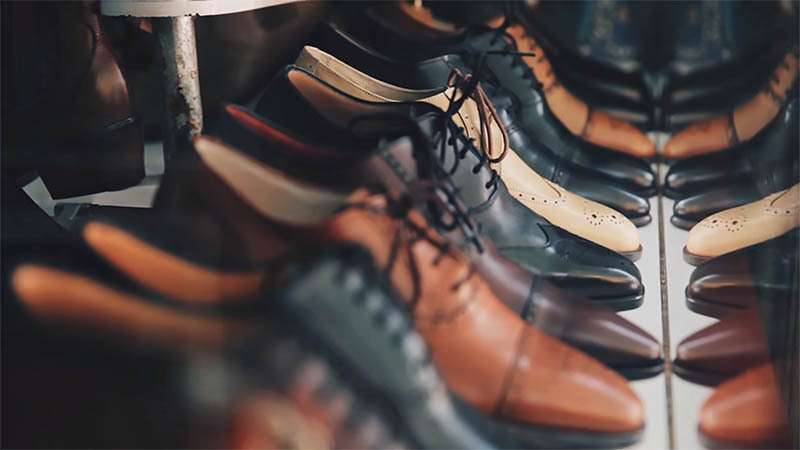 You are carefully guided by the Savile Row trained Tailors Ashish & Pawan of Knights & Lords through a process of handpicking the style for your pair of hand-made shoes after which you are given choices of leather colors, inner lining colors and construction of the shoes which is hand-made with leather sole. The crafting of shoes follows a strict and detailed process. The first step is to cut the individual leather pieces that will make up the design of Handmade Shoes chosen by the wearer. 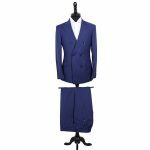 These are carefully hand cut using a pattern ensuring that none of the pieces are cut in a manner that will overlap the other once they are hand stitched together. The individual pieced are then stitched together in a manner no less than the skill required by an engineer as the pieces cut individually on a flat board are now hand stitched maintaining the concaves and curves of the handmade shoe design chosen. This is the most important stage as it gives the Handmade Shoes upper area its true form. The shoe artisan uses small sharp pins and nails it to the upper area, elongating the leather with a precise perfection using tools that ensure the shape is as close to perfection as possible. Handmade Shoes always have the lasting done by hand as nothing compares to the natural feel of the concaves and curves done by the hands of a shoe artisan. The insole is then brought into existence by hand cutting on the bottom of the Handmade Shoes to allow it to inherit and become one with the outer sole. Once the supreme balance between the insole and the outer sole is attained, they are ready to become one. A leather welt is then created to be carefully hand stitched to the outer sole which will be the home of your feet maintaining a comfortable balance with every step you take when it touches the floor. Wax is applied to the outer sole to bring out its natural shine and the shoe is polished and decorated with subtle details like small jewels on a crown. The handmade shoes are then ready to be inherited by the wearer.